Valencia is a great city to spend your Erasmus experience. It’s possible that you’ve already heard about the fact that Valencia is the third biggest city of Spain. Moreover it’s a city with much better weather and less agglomeration than in Madrid or Barcelona for example. In Valencia it’s sunny almost the whole year round with just a few days of rain. This type of climate makes it possible for you enjoy to the beaches almost every day of the year. If you are already thinking about doing your Erasmus in Valencia, we would like to give you another highly convincing reason so you can make a decision: Las Fallas. 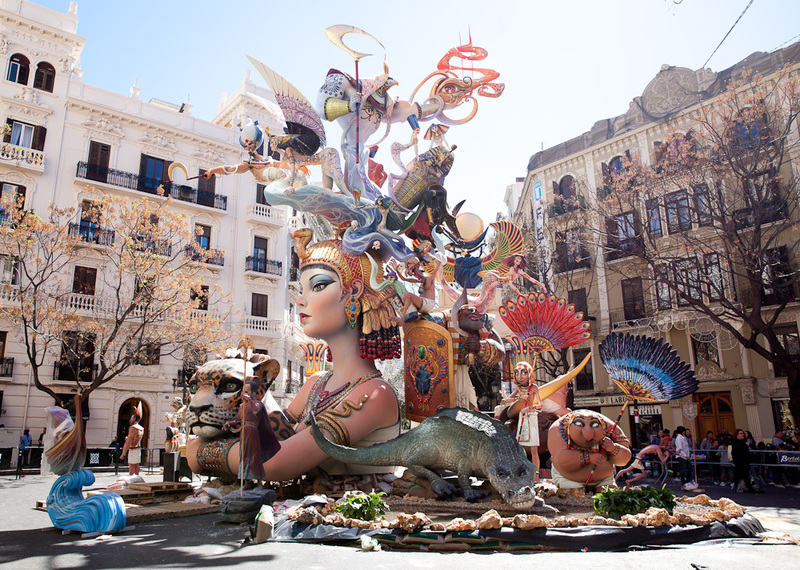 Las Fallas is a traditional festival in Valencia, a celebration that’s incomparable with anything else. It’s something that you absolutely cannot miss. This festivity is so important that it’s considered a ‘Festival of International Tourist Interest’. Since 2016, Las Fallas has also been a part of the ‘Intangible Cultural Heritage of Humanity’. 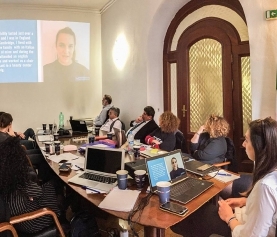 So now knowing this, are you’re going to miss out on this fantastic experience? The origin of Las Fallas, as we have explained to you before on Instagram, dates back to an ancient tradition of carpenters. To celebrate the feast of their patron; Saint Joseph and coinciding with the spring solstice, the carpenters burned their old junk and the chandeliers they had used during the winter. 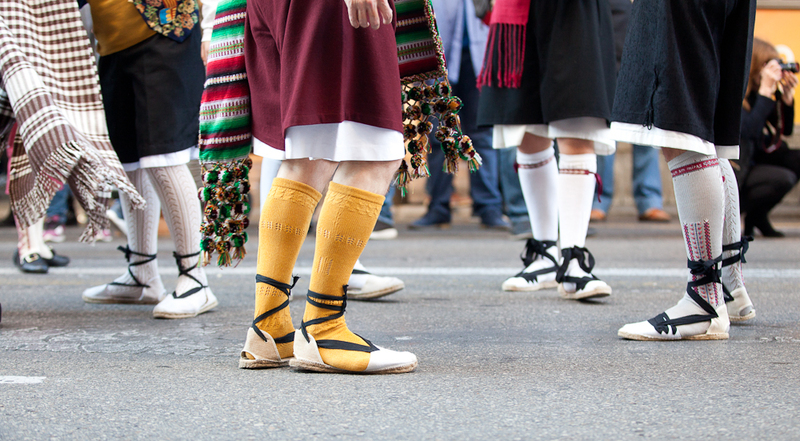 However, nowadays the activities during Las Fallas aren’t very similar anymore to these ancient customs. Until the beginning of the 20th century, the fallas were made out of tall drawers with three or four wax dolls. Nowadays, they are made out of cork and reinforced with a wooden frame, which can reach up to 30 meters in height. 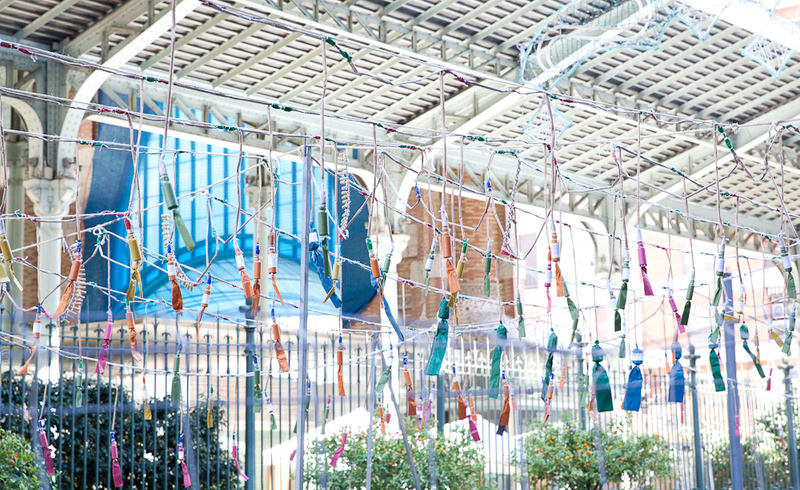 At present, the structures consist of a central monument with several ‘ninots’ around them, that try to integrate a sense of cynicism and irony with a twist of humour referring to current issues. 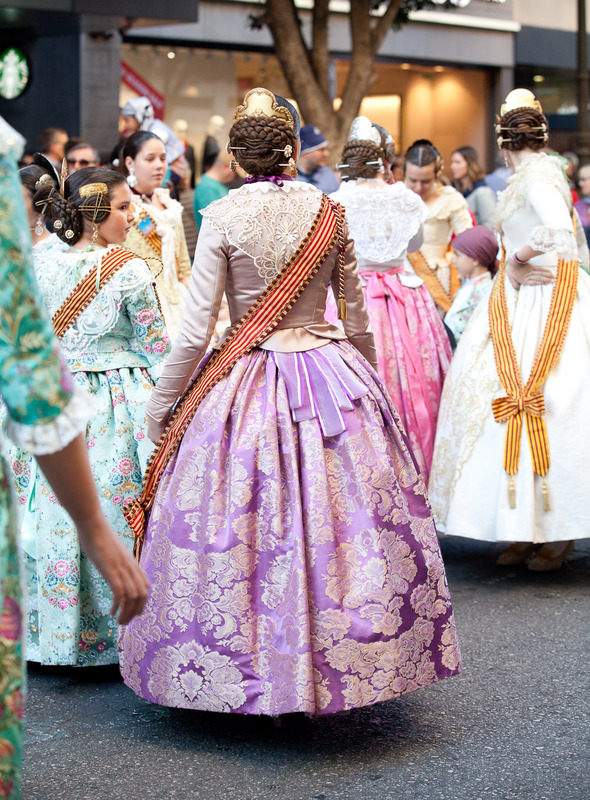 Other things that also have changed with the passage of time have been the costumes of the ‘falleras’ and ‘falleros’. In its original state, the typical dresses of the ‘falleras’ were made as a resemblance to the kind of outfit that Valencian women used to wear when they went to work in the countryside, back in the sixteenth century. Over time, that costume was altered into more elegant dresses that were worn during special occasions. Currently, ‘fallera’ dresses are characterized by the attractiveness of their fabrics and the amount of accessories they carry. Thus, ‘fallera’ dresses can weigh about 5 kilos, approximately. 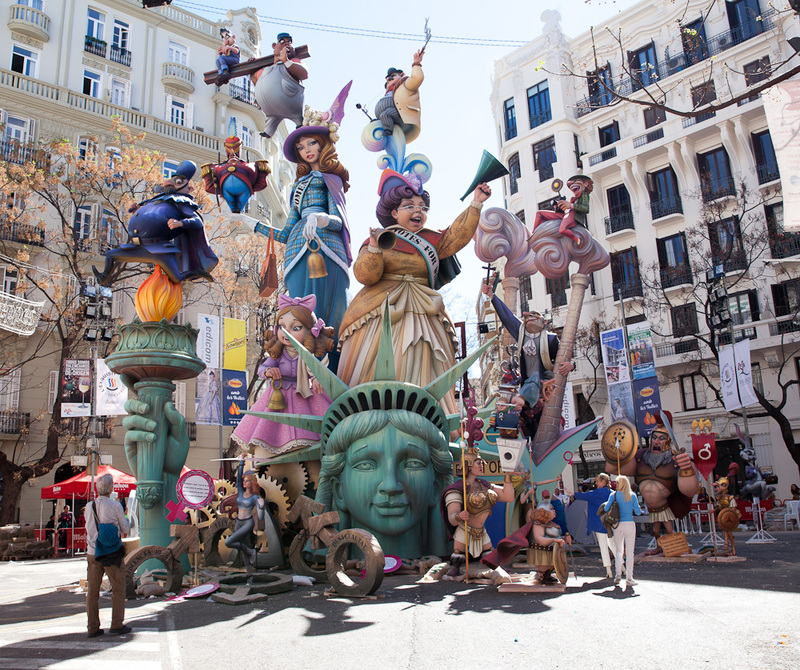 Las Fallas is a popular festival known throughout the world. However, there are only a few people who know some of the particularities of this celebration. Would you like to know them too? The name of this festival comes from a medieval word. Thus, ‘falla’ was the name for the torches that were placed in the watchtowers of the city. 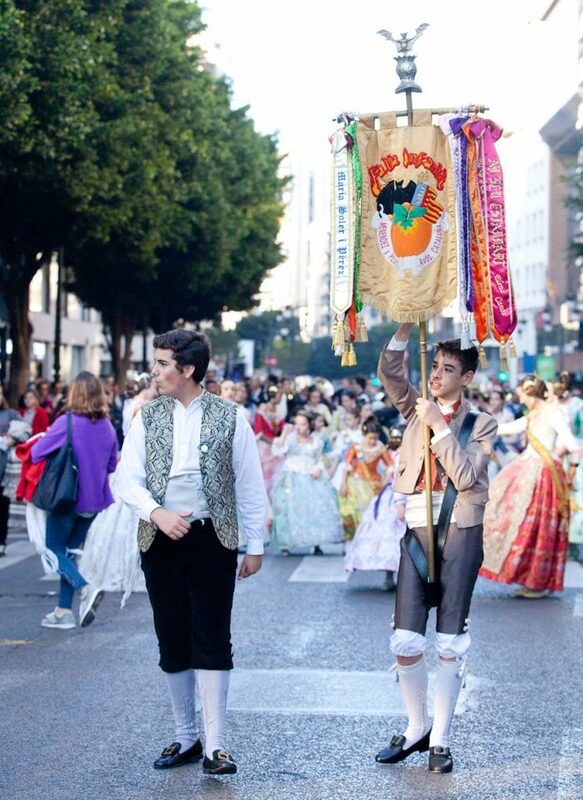 Many people do not know that Valencia is not the only place where this festival is celebrated. As we have explained earlier on Instagram, Argentina has also been enjoying its own ‘Fallas’ since 1959. 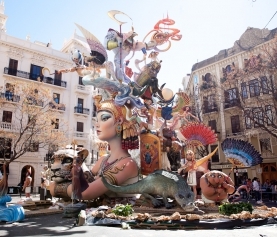 5 years ago, one of the most emblematic fallas ever made, was created in Valencia. The name of the falla; ‘Corrida de toros surrealista’, was designed by the painter Salvador Dalí. 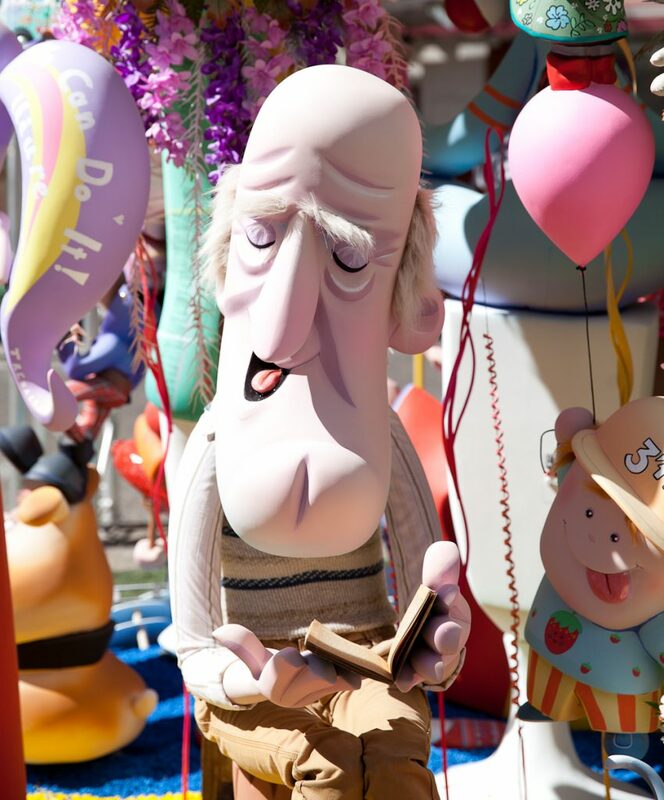 In the past, Las Fallas lasted only two days and was held on March 18th and March 19th. Since 1932, with the purpose of attracting more tourists, they began to expand the length of the festivities. 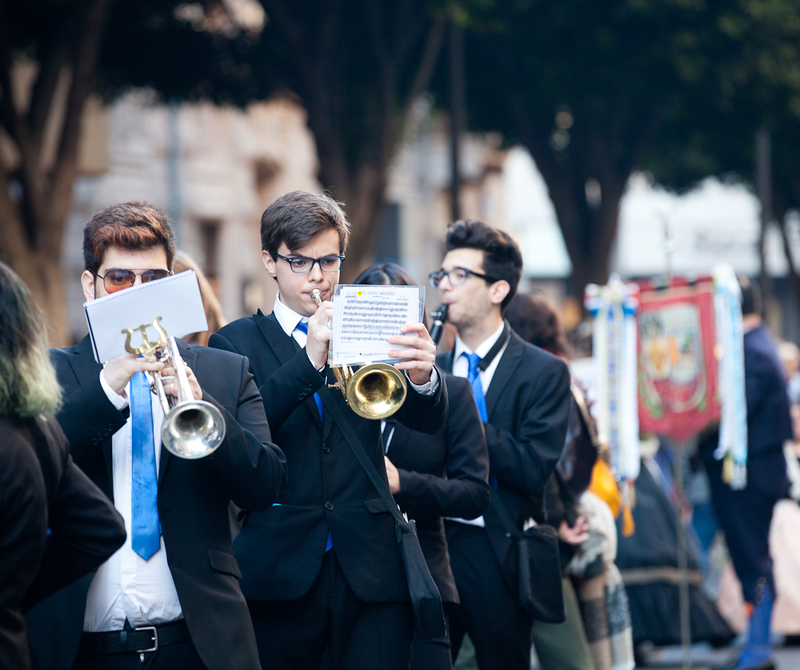 Nowadays, Las Fallas is celebrated from March 15th to March 19th, although the crida (the call), which is the first ‘fallero’ activity, is held on the last Sunday of February. With this activity Las Fallas officially begins and calls all Valencians and every visitor in the city to start celebrating the festival. As of the 1st of March, the mascletàs also start. Every day, for 19 days, at 2 pm at Town Hall Square you can enjoy a rhythmic composition of firecrackers. Between 5 to 8 minutes, a maximum quantity of 120 kilograms of gunpowder will explode, which can exceed to 120 decibels. Its intensity should increase until it reaches the part called the ‘earthquake’. This is the moment when the firecrackers with great power explode on land at full speed. *Tip for listening to the ‘mascletàs’: Do not cover your ears even if you think the sound will be very loud. Covering your ears causes the sound waves to rumble even more. The correct thing to do is to open the mouth to maintain the constant opening of the Eustachian Tube and to equalize the pressures on both sides of the eardrum. The plantà is an official day when the monuments have to placed in the streets to be valued and in order to award the different prizes that are given away. Another extremely symbolic event of this festival is the Ofrenda (the offering). 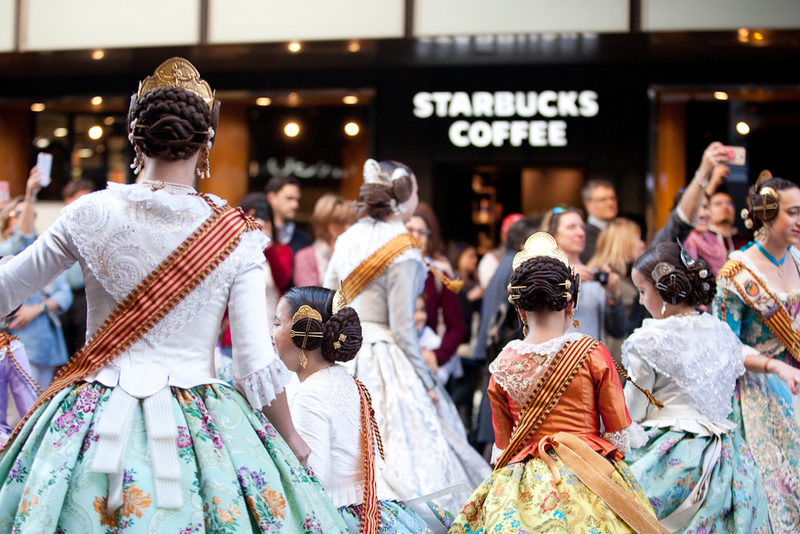 During the event the ‘falleras’ offer a bouquet of flowers to the ‘Virgen de los Desamparados’. With all these flowers, a huge tapestry is made that covers the body of this virgin beautifully like a mantle. It can measure up to 14 meters in height. 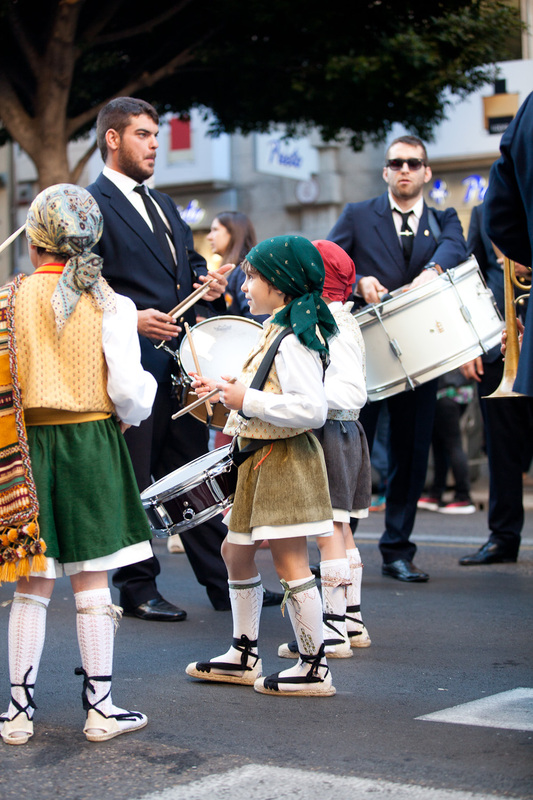 The cremà is the final activity of this festival. After 10 pm, fires begin to burn, causing flames. They start with the little ones and end with the bigger ones. Little by little, all the monuments burn into ashes. 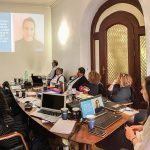 If, by now, you have decided that you are going to spend your Erasmus experience in Valencia and you are here with ‘Las Fallas’, there are some things that you cannot miss out on. 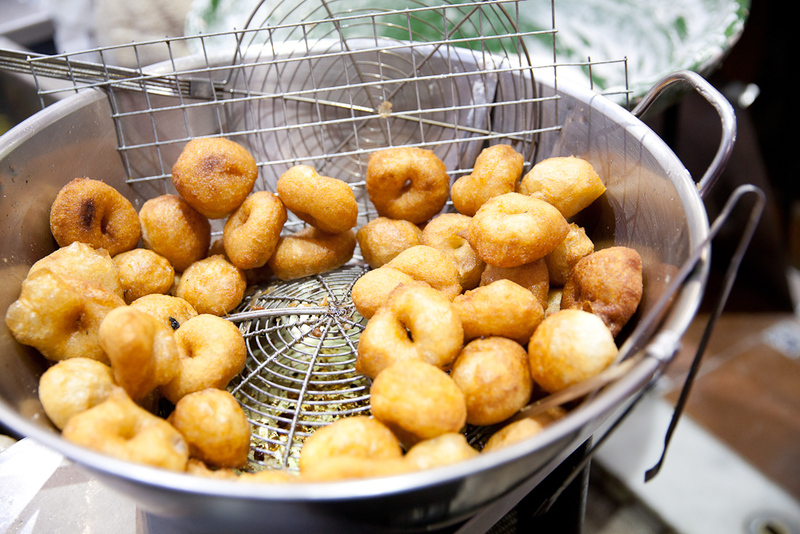 There is nothing like walking through the different monuments and regain your strength with some fritters or churros with chocolate. Nor can you miss the castles, the firework shows featuring incredible lights and colours. Also, do not forget to visit the illuminated streets in Ruzafa, specifically at the time of lighting, when music and lights create an exceptional show.